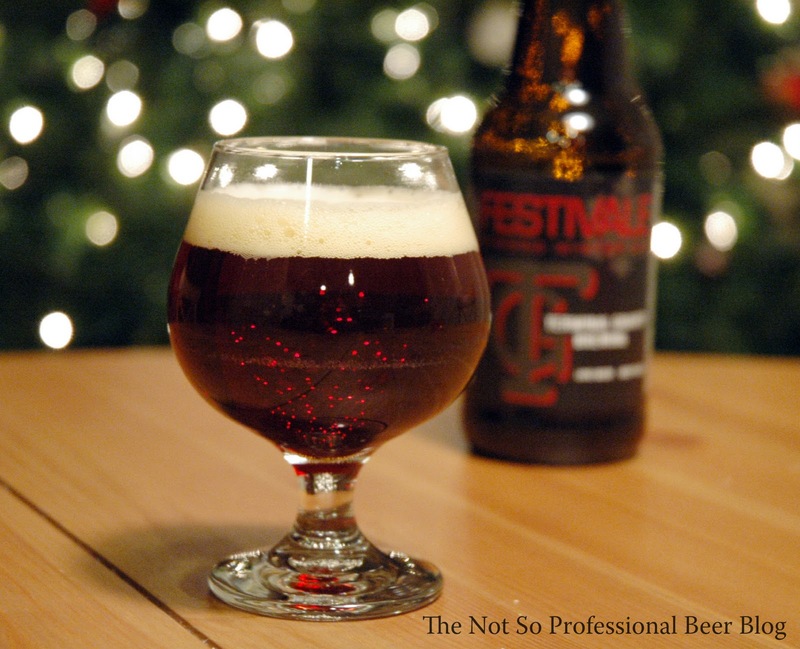 Description: "Terminal Gravity's Festivale is in the style of British strong or 'old' ales. We brewed it to be fairly dry so that it is completely drinkable and not cloying. It has huge and complex malt and hops flavors with a nice little alcoholic warmth in the finish. The color is deep ruby brown and it produces a fine cream colored cascading head. If you like strong ales, this might be one of your new favorites!" 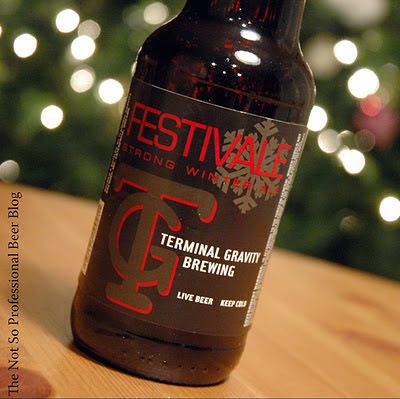 — Terminal Gravity Brewing Co.
Random thoughts: I first tasted Festivale '10 last year at Horse Brass Pub. I'm tasting this year's release as part of my series on winter seasonal beers. Rating: 4 star. Really Good! I want this again! If you're looking for a winter warmer that's not overly sweet and leans towards hops, look no further. Festivale isn't complex with many layers of flavors, but don't let that dissuade you. This is an excellent beer for your holiday celebrations, particularly Festivus. Let the Airing of Grievances begin! Have you tasted Festivale or any other Terminal Gravity beers? TG makes some nice beers and this is my favorite. Your discription is right on the money.